Tomorrow is one of Central Arkansas’ most popular fall festivals. HarvestFest in Hillcrest is celebrating its 23rd year, and the festival has more going on in 2018 than it ever has before; so much so that we decided to put together a comprehensive guide to the party. How much: Admission to HarvestFest is free, as are most of the activities. Some events charge an admission, and we’ve marked those below. 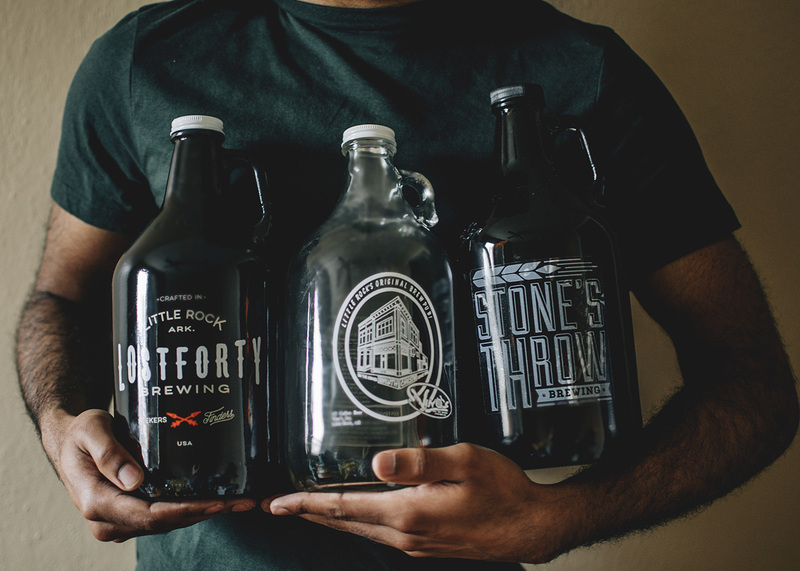 Food trucks, beer, and merchandise from more than 170 vendors are available for purchase. Adobo To Go — Serves Asian cuisine with a Filipino influence and American fusion. 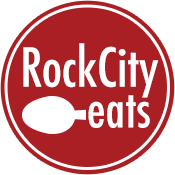 Check out the lumpia (spring rolls), gyozas (pot stickers) or boneless wings tossed in their signature sweet and savory Adobo bbq sauce. Banana Leaf — Enjoy authentic South Indian cuisine like the chicken tikka masala or chicken biryani. Bragg’s Big Bites — If you’re hungry for catfish, this is your truck. You can also select from the buffalo rib fish or chicken wings. Haygood BBQ — Good ole hickory smoked barbeque. Pro tip: do not miss the barbecue nachos. Hot Rod Wieners — Some of the best specialty dogs around. Katmandu Momo — Traditional Nepal-style cuisine. Be sure to try the dumplings (momos). Kona Ice — Use the flavorwave to add custom flavors to your Hawaiian shaved ice. Loblolly Creamery — Ask to try the seasonal ice cream flavors. Luncheria Alicia — Traditional, authentic Mexican fare, including tacos, tortas, burritos and more. Pappy Jack’s Street Pies — This new food truck specializes in handheld fried pies, both sweet and savory, that are perfect for snacking on. Salsa Wagon — Salsa Wagon sells a little bit of everything, from nachos to hot dogs and more. Definitely try the salsa; there’s a reason the name is on the truck. In addition to these local favorites, HarvestFest is bringing in the Johnsonville Big Taste Grill for the first year. This massive 80-foot grill will be cooking up bratwursts all day, and half of the proceeds of each brat sold will go to charity. Several Hillcrest restaurants usually set up on the sidewalk as well, including a coffee station at Mylo Coffee Co., a mojito tent at La Terraza Rum & Lounge, and a sausage grill at The Pantry Crest. If you end up in the area before the festival opens, check out the annual Pancake Breakfast put on by the Hillcrest Residents Association. From 9 a.m. until 11 a.m., the HRA will be serving up pancakes and coffee at Pulaski Heights Presbyterian church, just a block away from the festival. The weather is looking perfect for the 3rd Annual HarvestFest Gumbo Cook-off. From noon until 2 p.m. at Hodge Orthodontics near Spruce Street, more than a dozen competitors will be battling for the grand prize cutting board trophy and $250. And of course, you get to be a part of it. Just $5 gets you in to try all the gumbo you want and vote in the people’s choice award. Last year, The Capital Hotel won the grand prize, and you can bet competitors like The Faded Rose, The Oyster Bar, Rebel Kettle, Sauce(d) and more will be stepping up their game to take down the champ. Of course, you can’t have a festival without beer. HarvestFest features entirely local breweries in its beer garden, with nine different Pulaski County breweries on tap. Here’s what you’ll find on the Helmich’s parking lot at the corner of Kavanaugh and Beechwood. In addition, Lost Forty is sponsoring the concert area on the east end of the party and will have four separate brews on tap: Month of Sundays Amarillo Pale Ale, The Hunter Oktoberfest, Easy Tiger Vienna Lager and Love Honey Bock. And just across the street from Lost Forty’s area, Proof Bar + Lounge is holding a Lost Forty tap takeover featuring at least one keg of Nighty Night Barrel-Aged Imperial Stout. VIP Area sponsored by District Fare – This one also goes on all day at the festival. A $20 wristband you can purchase at the door gets you free food from District Fare, free drinks, an indoor restroom, and a big screen to watch college football while enjoying the Ethan Allen furniture lounge. This is perfect for folks who just need a breather from the hubbub. Kids Area – From 11 a.m. to 4 p.m. at Simmons Bank, kids will be having a blast. The bouncy houses are always popular and the pine cone crafts should be fun for making Thanksgiving decorations, but it will be the baby goats brought in by Heifer International that will draw the biggest crowd. HarvestFest Dog Show – Speaking of drawing a crowd, there won’t be many scenes cuter than this dog show featuring everyday pups from around the neighborhood. This one is free to get in and enjoy; walking your dog down the red carpet is a $20 donation to ArkanPaws Animal Rescue. The dog show goes from 4 p.m. to 5:30 p.m. at Hodge Orthodontics near Spruce Street. 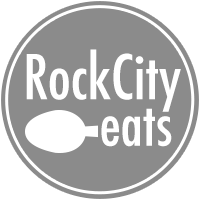 Disclosure: Steve Shuler, senior writer at Rock City Eats, is the chair of HarvestFest 2018 and contributed to this guide.